The Guardian Legend: Shadow of Naju is my unofficial sequel of the original game. I hope that I was able to keep the spirit of TGL, because it is supposed to be new levels with the same gameplay and some new, modern improvements. More details in ReadMe file. 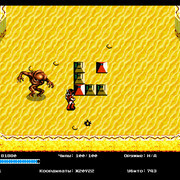 The game is made using Adobe Flash technology. The development started in 2010, but after 2012 it slowed down and stopped eventually. Exactly a year ago I decided to resume work on the project, rewritting it from scratch, and today I have the honor to introduce the result to you. Currently, Russian and English languages are available. Well, since English isn't my native language, the game can contain some grammar and spelling mistakes. Just like old NES games! 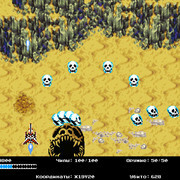 - rate of fire and projectile speed of main weapon are increased, especially in the beginning. - second lifebar added, showing difference between actual and pending health. Full changelog is inside zip file. Why version here is lower than in russian topic? A possible bug: After a game over, bindings reset. Red Lander as a vendor is great! Good choice on Hard Man's theme in MM3 for Corridor 11's air stage. Game's all right. deepshock, thank you for your feedback! Air stages don't have checkpoints, but there are checkpoints before every corridor in arcade mode. Also there's an autosave after very first corridor, so if player dies before accessing save room, he won't have to complete first corridor again. it is an interesting game. using copyrighted enemies however is not wise. if nintendo finds out that there is metroid enemies here, they might sue. i am not sure about how protective nintendo is however. enemies from the final fantasy games is more likely to get attention. then there is bugs, specially in the pathing. i often have to shoot 2 blocks to get through one. the amount of stuff that increase firing rate is a bit low. difficulties should possibly be tweaked but i am not sure how. maybe a bit more shots on easy. corridor 2 really freaked me out. the jump scares during the boss battle scared me so much that i could not continue playing after beating it. it is an interesting game. using copyrighted enemies however is not wise. if nintendo finds out that there is metroid enemies here, they might sue. i am not sure about how protective nintendo is however. enemies from the final fantasy games is more likely to get attention. Well, I don't claim any rights and never intend to earn any monetary reward for this game. Besides, there are lots of similar flash games on sites like Newgrounds, and they've been uploaded there several years ago. But your warning is reasonable. then there is bugs, specially in the pathing. i often have to shoot 2 blocks to get through one. It seems to bother many players, as I can see. It will be fixed in the next update. the amount of stuff that increase firing rate is a bit low. difficulties should possibly be tweaked but i am not sure how. maybe a bit more shots on easy. Starting rate of fire is almost identical to original game (precisely, 220 ms vs 200 ms), and the first upgrade increases it the most. I think it shouldn't be affected by difficulty level, and also, hopefully there will be the second part of the game, which will have the other half of upgrades, including rate of fire. corridor 2 really freaked me out. the jump scares during the boss battle scared me so much that i could not continue playing after beating it. Seriously? I never considered his/her transformation effect as a jumpscare. Well, the game may contain some elements that can be considered scary or cruel. There're enemies from Splatterhouse 2 and Demon's Crest, so keep this in mind. Also, corridor 16 has the advanced version of corridor 2 boss. Thanks so much for making this! TGL is probably my favorite NES game of all time, and it was so good I always wondered why a sequel was never made. I just finished playing through Shadow of Naju, and I can say it was very satisfying and challenging. Very well done! The game didn't had success. That's the reason it didn't had sequel. 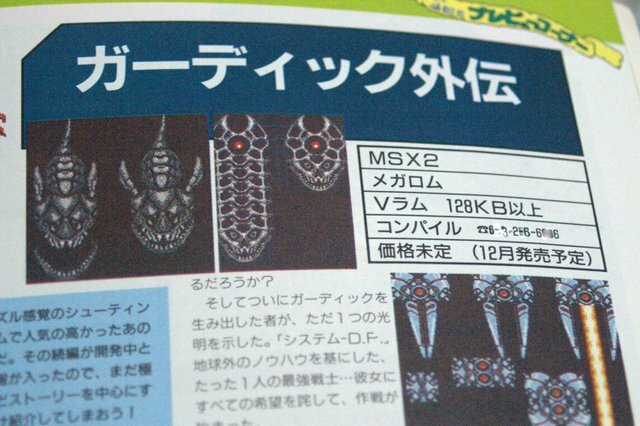 It was planned to make port or maybe sequel for MSX, there some screens found in magazine about that. But as the famicom version failed it didn't happened. I'm curious as to what led to the idea of disabling teleportation from at (I think) 4 , or 1/2 of max health, or whichever threshold you set. It seems to be a way of adding insult to injury, though I doubt that was the intent. As far as I've seen, save locations in SoN are reasonably close, but far enough away that there's also a question worth asking about the possibility of one-time health recovery the first time you reach a save point. Apart from that, the game in version 2.1 is pretty great, and I'm loving the minimap and the quickchange. They work quite well for the game. Just start the game, good gameplay and design. 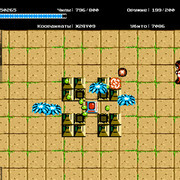 Just have one issue...In Labyrinth, When moving character using up, down ,left or right, seems to walk on normal speed, but if i go upper left, upper right, down left, down right, character will move double speed on those dirctions. It feels odd. Such behavior is common for games, since some programmers tends to forget to cap the max possible player speed. See "Straferunning" and "Trichording". But when you more right+up, you have like X_coordinate+1, Y_coordinate+1 - so there you moving by 2 pixels. Not by distance tho. Calculating the right distance could be found out by formulas like object flying after the mouse cursor. And I checked the original game. And it seems to not have this thing! So maybe it is something to think to update.